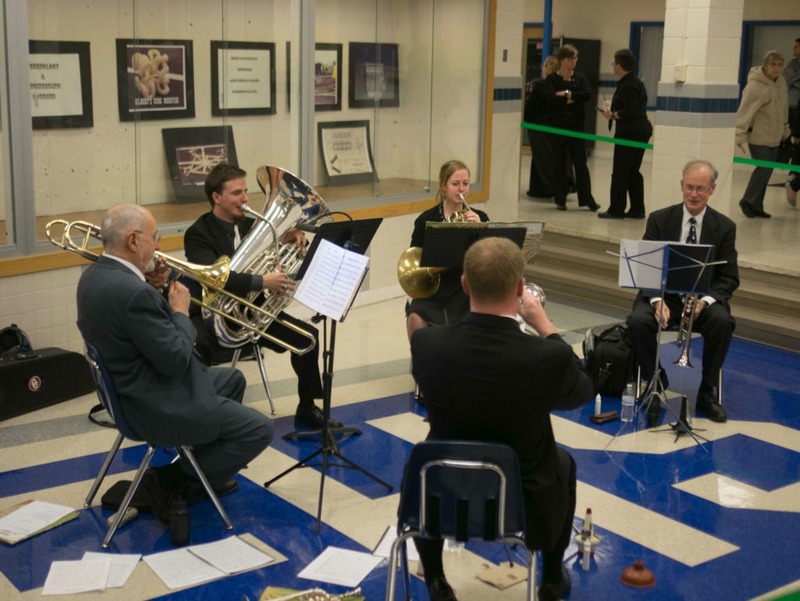 The Main Street Brass Quintet was formed by some members of the Main Street Community Band in the summer of 2010. The goal was to get together to play quintet music and to land an occasional appearance. Since then, the group has played at traditional and contemporary church services, corporate functions, weddings, retirement homes, and Main Street Community Band concerts. The repertoire ranges from Baroque to Beatles, including works by Giovanni Gabrieli, Stephen Foster, Gustav Holst, and George Gershwin along with a number of New Orleans-style jazz arrangements by Zack Smith.